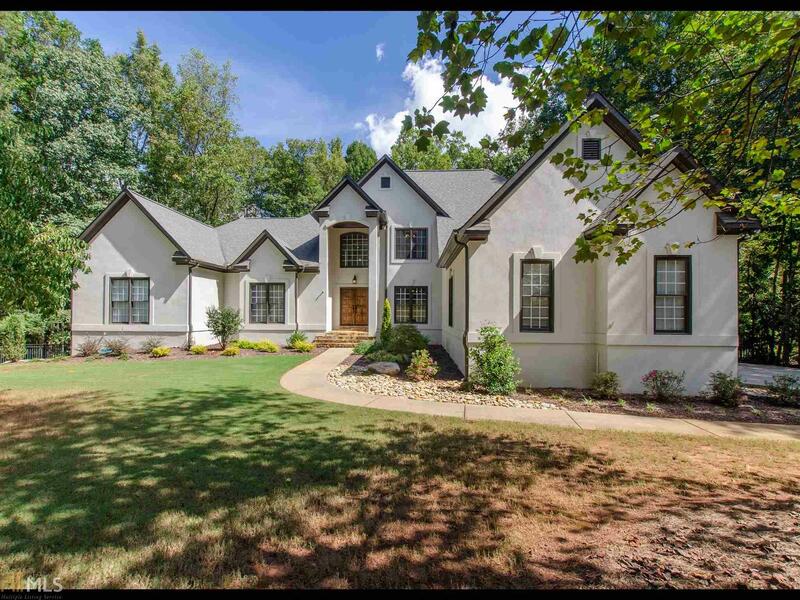 This Custom home has been freshly painted inside and out, an entire basement remodel, new flooring and lighting in addition to a kitchen remodel which includes new countertops and backsplash. The Kitchen is stunning and opens to the Family Room with a beautiful fireplace. The Master is on the main level with a spa bath and his and hers closets. The second level has 3 BRs (one with ensuite bathroom and the other bedrooms with a Jack n Jill Bath). The remodeled/updated Terrace level has a Guest Suite, workout room, media/playroom, second kitchen and a full bath. The yard is fenced, private and beautifully landscaped with a Saltwater Gunite Pool and a waterfall spa. Conveniently located to the Cart Paths and Amenities that Peachtree City has to offer.